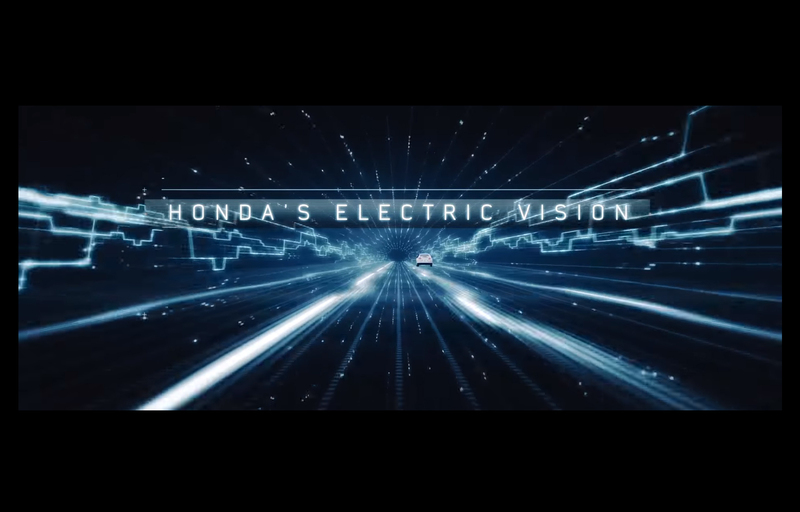 At Honda, we understand that the road offers many distractions. Which is why we continually develop new technologies for our vehicles to assist with everyday driving. Here we give a brief overview of some of the technologies which can be found in our vehicles. Please note that certain features may not be available on certain models, while certain features may only be available as optional extras, contact your local Authorised Honda Dealer for more information. Roads turn, so why not headlights? Active Cornering Lights illuminate the direction you are turning to wipe away darkness. When you turn the wheel or indicate, the active cornering lights will illuminate, allowing you to peer deeper into bends and curves. The more you see, the earlier you can react. Problems can be solved even before they start. There are two microphones in the cabin area. The microphones capture low-end drivetrain frequencies entering the cabin and send a signal to the Active Noise Cancellation unit. The control unit then creates a precisely timed reverse phase audio signal that is sent to the speakers, cancelling out the drivetrain frequencies and creating a quieter cabin. Adaptive Cruise Control is aware of changing conditions and reacts accordingly. The Adaptive Cruise Control System uses a radar to scan for objects in the path of the vehicle. Should you approach a slower moving vehicle, the ACC system will override your cruising speed, lower it and even apply gentle braking if necessary. Once a safe distance has been re-established, the ACC system will return the vehicle to its original cruising speed. The Adaptive Damper System automatically adjusts the rear suspension damping force stiffness in a split second, based on driving conditions. This allows the car to remain comfortable during highway cruising, yet firm and agile when high-performance handling is required. The system has three settings - Comfort, Normal and Dynamic - all of which have been developed to enhance stability and comfort under varying load and driving conditions. ABS is a system that prevents the wheels from locking while braking hard, or on slippery surfaces, to retain steering control. This allows the driver to steer away from a potential accident. Under heavy braking, the system monitors braking force to each wheel, should a difference in braking pressure be detected on a wheel, the system automatically adjusts the braking pressure to that wheel in order to restore balance and ensure optimum braking control. High-Intensity-Discharge (HID) Headlights (also known as Xenon) produce brighter, whiter light than halogens, helping to make night driving safer and easier. HID headlights are also 25-30% more energy efficient than Halogen lights, and the bulbs last up to three times longer than halogen bulbs. Bi-HID headlights operate on both low and high beam. Blind Spot Information uses radar technology to automatically detect vehicles in the driver’s blind spot and warn of potential dangers when the vehicle is travelling at speeds of more than 20km/h. The system is designed to detect cars and trucks and can help to support drivers in situations such as passing other vehicles and merging or changing lanes. When a vehicle enters the driver’s blind spot a visual warning is displayed on the wing mirror. This remains until the vehicle leaves the blind spot. If the driver operates the indicator whilst the vehicle is in the blind spot, the visual warning will blink, and an audible warning will sound to further alert the driver to the potential danger. The system can be turned off by the driver when the vehicle has stopped. Using a millimetre wave radar mounted on the front of the vehicle, the Collision Mitigation Braking System scans for objects or vehicles in your path. Upon detection, the system issues a series of audio and visual alerts to prompt you to take action. In addition, the system automatically activates gentle braking if the oncoming object continues to get closer to the vehicle. The system’s preventative measures are designed to make an unavoidable collision far less severe. Specifically designed to help avoid or mitigate low speed accidents. City-Brake Active system is a laser radar system that scans the road ahead, automatically applying the brakes if an imminent risk of collision is detected. The system operates at low speeds (32km/h and below) and is designed to detect cars and trucks. When the system detects a risk of collision it will offer visual and audible warnings. If the system identifies that the risk of collision exists then pre-braking with audible and visual warning will occur and eventually full autonomous braking will occur. The system can be turned off by the driver only when the vehicle is stationary, and it will remain off until the driver turns off the ignition. The system will be come back on once the ignition is switched back on. Honda’s Cross Traffic Monitor system uses rear side radar sensors to warn the driver of approaching vehicles when reversing. The direction of an approaching vehicle is shown either on the rear-view camera screen or displayed using arrows showing the direction of the travelling vehicle on the i-MID and an audible warning sound. The system is designed to detect cars and trucks travelling up to 25km/h and can be turned off by the driver when the vehicle has stopped. Cruise Control system allows a cruising speed to be set for the vehicle which will automatically be maintained, allowing the driver to remove their foot from the accelerator. The system can reduce driver fatigue on long motorway drives, while ensuring the car stays at a set speed. The system can be adjusted, paused or cancelled at any time using the steering wheel controls, or by engaging the brake or accelerator. The Speed Limiter allows for a maximum speed to be set for the vehicle, which cannot be exceeded without deliberate action from the driver. The system can be useful in ensuring that drovers keep within speed limits. The speed limiter can be cancelled using the steering wheel controls, or via a full push of the accelerator. The deflation warning system continually monitors the tyre pressure on all four wheels. The system automatically notifies the driver should any significant loss in pressure be detected. Honda’s unique Eco Assist system works to help drivers reduce fuel consumption in two distinct ways. When Eco Assist is engaged, the vehicle is automatically tuned to operate at the most fuel-efficient level, with throttle response being altered and vehicle features such as climate control being tuned for the greatest efficiency. In addition, Eco Assist also offers a very useful ‘driving coach’ which can greatly reduce fuel usage. The vehicle instruments will change colour in line with your driving style to demonstrate the fuel efficiency with the goal being to keep the instruments glowing green. Studies have shown that the Eco Assist system can reduce fuel consumption by as much as 15%. Electronic Brake Distribution utilises part of a vehicle's ABS system to adjust the braking force and distribute it between the front/rear and left/right wheels dependent on tyre grip. EBD offers greater braking stability under all braking conditions as force is distributed more evenly to all wheels. Emergency Brake Assist helps the driver apply full braking pressure in an accident avoidance situation. Should the system detect emergency braking, it automatically applies full braking force in order to bring the vehicle to a stop in the shortest distance possible. The Emergency Brake Assist system deactivates when the driver releases pressure on the brake pedal. The Emergency Stop Signal automatically activates the hazard warning lights when it detects an emergency stop situation. The lights blink rapidly to warn following vehicles that the car is stopping abruptly, reducing the risk of a collision. Forward Collision Warning detects the risk of collision by recognising the vehicle (car or truck) directly in front, using the multi-purpose camera. The system operates when the car is at a speed of 15km/h and above. On detecting the risk of collision, it will offer visual and audible warnings. The warning distance can be adjusted to the driver’s preferences and the system can be turned off by the driver. The Honda HFT system allows calls to be made and received using Bluetooth technology. A compatible mobile telephone can be paired to the vehicle and all calls will be routed through the audio system for hands-free calling. Additionally, the system can also allow for Bluetooth Audio Streaming, where audio such as music can be wirelessly connected to the audio system within the vehicle. The High Beam Support System works at speeds of more than 40km/h to switch High Beam head lights on/off automatically depending on oncoming/preceding vehicles (cars, trucks and motorcycles), bicycles and environmental brightness. The system brings convenience benefits to the driver, but also safety benefits by controlling the lights at the optimum time. The system can be turned off by the driver to return to manual control. Hill Descent Control helps the vehicle descend difficult terrain safely and consistently. The system uses autonomous braking to control the speed of the vehicle on a steep, difficult descent. When the driver lifts off the brake at below 8 km/h, the system will automatically hold the speed for the duration of the descent. Hill Start Assist utilises the VSA system to prevent the vehicle rolling during a hill start. When moving away on a gradient, the system automatically holds the vehicle in place using light braking as the driver moves from brake to accelerator, stopping the car from rolling slightly in the opposite direction during the process. The Idle Stop system is a technology which reduces fuel consumption and vehicle emissions by automatically switching off the engine when the vehicle is stationary, and the gear lever put into neutral. The system can significantly reduce emissions in urban areas, for example when stopped at traffic lights. All other vehicle functions, such as audio or climate control, continue to operate while Idle Stop is engaged. The engine restarts automatically in an instant once the driver goes to move away by pressing the clutch or accelerator. Intelligent All Wheel Drive is designed to always offer drivers the safety and security of all-wheel drive when needed, matched to the efficiency benefits of two-wheel drive when not required. The Intelligent All Wheel Drive system is unique in that the vehicle always operates from start in 4WD, once no loss of traction is detected, the system switches to two-wheel drive in an instant. The system then only sends power to all 4 wheels when required, saving fuel and emissions. Lane Departure Warning uses the multi-purpose camera to track lane markings on the road. If the car deviates from its current lane without indicating, Lane Departure Warning alerts the driver with audible and visual warnings. The system operates at speeds of more than 64km/h where the road has a curve radius of 250m or more. The system can be turned off by the driver at any time. The Lane Keeping Assist System identifies the boundaries of the vehicle’s lane by processing images from a C-MOS camera mounted behind the windscreen. It then calculates the optimum steering torque to keep the vehicle in the centre of the lane and provides steering torque to the wheel to keep the vehicle in the centre of the lane. A continuous beep will be emitted when the vehicle is about to cross the lane markings. Honda's reversing camera offers a full colour view of what is behind you when reversing, for greater safety and visibility. Once reverse is engaged, the camera will display via the i-MID or navigation screens on the dashboard. The rear-view camera systems feature a proximity ladder to take the guess-work out of reversing, showing guidelines as to the width of the vehicle and distance markers at 3 metres to 0.5 metres. The Smart Entry & Start system allows for keyless entry and starting of the vehicle. With the system, the driver can walk up to the vehicle, unlock the doors, and start the engine without ever having to take the key out of their pocket or bag. Sensing the remote key, the vehicle will unlock the door when you touch a front door handle. Traction Control is part of the VSA (Vehicle Stability Assist) system. When one or both driving wheels has insufficient traction due to a combination of throttle opening, cornering force and low grip levels of the road surface, the Traction Control system will automatically reduce engine power until traction is re-established. Traffic Sign Recognition System uses the multi-purpose camera to detect road signs whenever the vehicle is moving forward. The system automatically recognises and displays the signs via the intelligent Multi Information Display (iMID) once the vehicle has passed the sign. The system is designed to detect circular road signs displaying speed limits and ‘No Passing’ information. Two road signs can be displayed at any one time – the right side of the display only shows speed limit signs and the left side is for “no passing” signs and speed limits with additional information, such as weather conditions, for example. The Traffic Sign Recognition System can judge if a sign is relevant to the vehicle or not and will only display it if it is relevant. For example, signs depicting speed limits specifically for Heavy Goods Vehicles will not be displayed by the system. Traffic Sign Recognition System can always be viewed through the dedicated page on the i-Mid or can be selected to appear below normal display. Whatever you want to tow, TSA helps you tow it more safely. Thanks to Trailer Stability Assist, the vehicle works to minimize skidding and help prevent loss of trailer control. By constantly analysing yaw rate, the system monitors your payload. If the yaw becomes too great, TSA acts before things get out of control, adjusting engine torque and applying precise braking to return your trailer to proper alignment with the vehicle. The Vehicle Stability Assist System is designed to stop accidents before they start. Vehicle Stability Assist (or Electronic Stability Control) is designed to anticipate when a loss of front or rear tyre grip is about to occur. During cornering, VSA determines if the car is deviating from its correct path. The system monitors the speed of the car as well as the relative speed of each wheel, the amount of turn on the steering wheel and the yaw and lateral G-forces on the vehicle. Should the car deviate from its correct path, VSA activates to bring the car back on track by applying the brakes to any individual wheel or adjusting the engine output.